One of the best things about being an academic is being able to mold young minds and guide them to success. When one of my students, Andrew Leblanc told me he was entering the Duke Startup Challenge Elevator Pitch Competition, I told him to come and see me and do a practice run. After all, I had judged several of these contests at Duke and other universities. I thought I knew what worked. After the eleventh iteration, Andrew got it right. He wasn’t trying to pack his presentation with unnecessary details. He had slowed down his pitch, added a personal touch and was now exuding confidence. Andrew even researched the background of the judges and tailored his message to their interests. So after two hours of intense preparation, I had little doubt that Andrew would win. Andrew lost. I was surprised. But what I told him afterward is that it really doesn’t matter. Contrary to what the organizers of these competitions will tell you, university business plan contests don’t produce winning companies. Yes, a number of companies have emerged from business plan bake-offs that have been moderate or small successes. But not a single home-run has emerged from this now-omnipresent practice. This is not to say that the contests are bad. Instead, they educate students in entrepreneurship and motivate them to come up with interesting ideas. But for all of you out there who think a biz plan victory is a ticket to the big time, think again. And for all the engineering students who think any outcome but victory is a waste of time, you also need to think again. Even though he lost, Andrew met a potential partner and also got to speak with Bill Maris of Google Ventures, a priceless encounter. (Bill promised to introduce Andrew to the Google Power Meter team. Don’t forget, Bill!). Extending this to the realm of entrepreneurship might be a leap (and it could be great fodder for a future PhD dissertation). But to me the outcomes don’t lie. Business plan competitions don’t breed winning businesses. Rather than winning a beauty contest, building a business is a marathon that requires steady and constant effort, surmounting regular difficulties, and living through emotional peaks and valleys. The very roots of the current business plan craze go back to one of the periods that represents a low-point in sane business practices. The business plan competitions first started in the dotcom days. At that time, there was a frantic rush to start new companies. 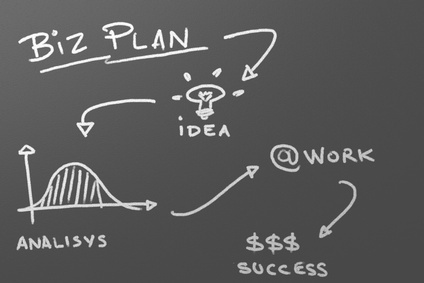 Entrepreneurs would create professional-looking, buzzword-laden business plans. Venture capitalists would then trip over each other to fund these plans, usually with way too much money. The prevailing theory was that a good business idea and enough money were enough to create the next hot IPO. B-schools readily jumped on the bandwagon and soon an arms race ensued to see which school could offer a bigger prize to winners. With the bursting of the dotcom bubble, the tech world was reminded that even a great idea funded by venture capital didn’t necessarily produce business success. In hindsight everyone saw that it took more than a good idea. It took a thorough understanding of the market, excellent management, and the ability to navigate rough waters to build a thriving enterprise. Some of the biggest dotcom winners came from me-too ideas that were executed better than the originals. Nor was this anomalous. Ask any seasoned entrepreneur in any industry, and he or she will likely tell you that his or her first business plan was probably the best work of fiction they ever created. A glimpse back through the big winners of the Dotcom Era also underscores the lack of impact business plan competitions actually had. Amazon, Google, Ebay, Yahoo—none of them won a business plan contest. In fact, not a single home run from that era won a business plan contest. And one of the biggest successes of its time, Akamai Technologies, actually lost the M.I.T. $100K contest. Without a solid understanding of market needs and real-world validation of their ideas, few young entrepreneurs can achieve their business-plan projections. The hottest startup methodologies of today, built around ideas fostered by Y-Combinator and TechStars emphasize giving startups almost no money and encouraging them to get a product to market as quickly as possible in order to get real world validation. This is almost the exact opposite of the current business school competition ecosystem, where market validation is non-existent. So realistically, few of the business school plan entrants can even understand whether their business plans even make sense. Business plan judges, for their part, are equally in the dark most times. Andrew’s plan involved utilities and power management, a topic I know virtually nothing about. B-school contest judges are usually generalists who have only superficial insights into the internal dynamics of the industries at which these plans are aimed. It would seem, then, that the insights of long-time experts in those industries would likely be far more valuable to a prospective entrepreneur. Again, I am not at all saying that business school plans are inherently bad. To the contrary, Andrew learned an enormous amount about starting a business, the importance of understanding markets, utility and power management technologies, and team building. His plan to build software that would allow residents of college dorms to track their power usage through a visual interface and more easily understand the direct impact of their behaviors on electricity consumption was not a bad idea. In fact, it was a good enough idea that many others are currently attempting similar types of systems for various social settings and environments. My colleague, Lesa Mitchell at the Kauffman Foundation believes that these contests foster collaboration between business school students and engineers or scientists. This, she says, teaches valuable lessons about launching businesses to both potential inventors and would-be CEOs alike. Finally, let’s not confuse failure to execute or unrealistic plan expectations with bad ideas. Young CEOs going into industries they barely know armed with b-school plan competition money are like lambs to the slaughter. But the core idea behind their plan may be quite innovative and powerful. My takeaway from all this? If you want to be a successful entrepreneur, don’t win a business plan competition. If you do win, your first act might be to hire a CEO with industry experience. And win or lose, the most valuable lessons you’ll learn will come more from playing the game than from coming up with the best plan.